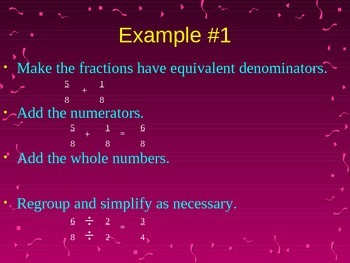 This powerpoint explains how to add fractions with unlike denominators. 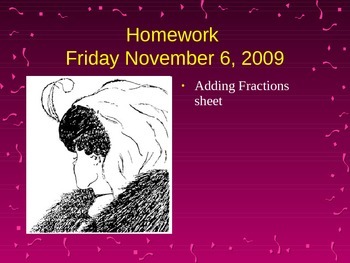 It begins with a warm up slide and a homework slide. There is a slide for the objective of the day as well. There is a dilemma with a slide of the steps. 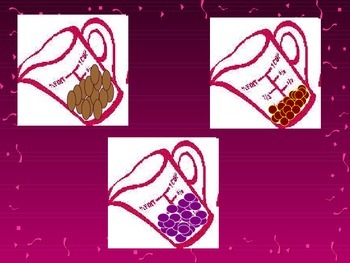 There are 4 example problems using animations to fill in the information. At the end, there is a slide of questions that can be used as an exit slip or classwork assignment.